We never call any of the local parks by their true names. We go to the horsey park, zell's park, crooked house park, brown minto and that park where she pooped on the bench that time. 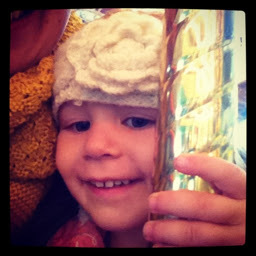 Recently, Claire let me know that she would be calling the carousel by its true name. "I like to call things by their real names now, because I'm bigger." She said. Grateful to have one that still calls it the horsey park. Grateful too that pooping on benches isn't really part of our park experience any more.